INR Vs USD: The rupee is down more than 13 per cent so far this year. INR Vs USD on Tuesday: Rupee touched 72.30 against US dollar at its peak in first half of session. The rupee (INR) rose as much as 15 paise against the US dollar in early trade on Tuesday. The rupee touched 72.30 against the greenback at its peak in the first half of the session, as against Monday's close of 72.75 - an all-time closing low. Increased selling of the American currency by banks and exports along with weakness in the dollar overseas provided support to the rupee, say analysts. The rupee dipped below the 72 mark earlier this month, amid a fresh bout of weakness in emerging market currencies and on current account deficit concerns due to soaring crude oil prices. The rupee has shed more than 13 per cent against the dollar so far this year, cementing its position as the worst performing Asian currency. Analysts stare at a widening current account deficit - which is the difference between imports and exports - on the back of soaring crude oil prices. Crude oil prices rose 0.4 per cent to $77.68 a barrel in anticipation of tightening supply. A government official said the finance ministry and the Reserve Bank of India are in touch on a daily basis, and the central bank is intervening when needed, news agency Bloomberg reported. 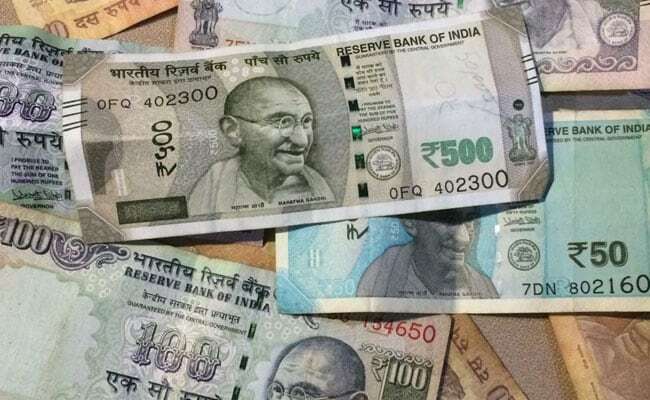 "Comments from the finance ministry supported the rupee but the external shocks and twin deficit concerns continued to add pressure," said IFA Global, a forex advisory firm. Rising crude oil prices put pressure on trade deficit front of the country, which meets more than 80 per cent of its oil requirement through imports. The weakness in emerging market peers on US-China trade concerns and continued strength in the dollar are also putting pressure on the rupee. The dollar index, which measures the greenback against six major currencies, slipped 0.1 per cent lower to 95.054. Emerging market currencies remained under pressure with a broad index down near 16-month lows. IFA Global expects the rupee to trade in the range of 72.20-72.80 with an upside bias on Tuesday. Going forward, analysts will also watch key rate decisions by Bank of England and European Central Bank on Thursday.